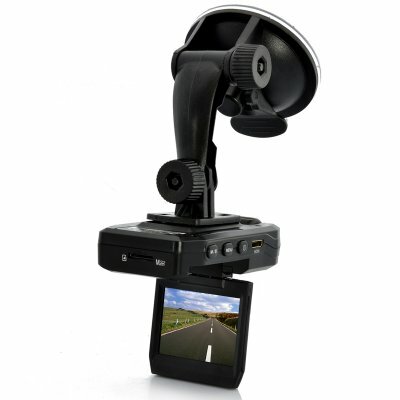 Successfully Added 1080p Full HD Dash Cam "Eagle" - Rotating Wide Angle Lens, 2 Inch Screen, HDMI to your Shopping Cart. Dash Cam recording everything in front of your car in 1080p full HD as a security measure against insurance fraud. 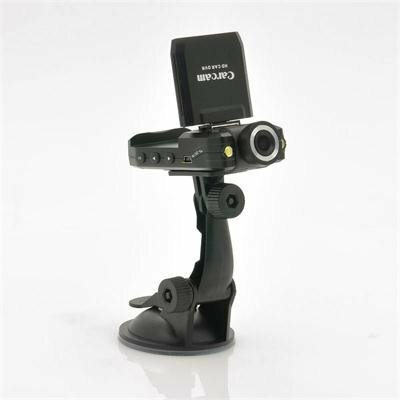 The “Eagle” Car DVR features a wide angle rotatable lens and Full HD recording, providing high quality images of the road in front of you. Protect yourself against fraudulent insurance claims and car crashes by simply turning on the camera every time you take your car out for a drive. If anything happens, it will all be recorded on the “Eagle” car DVR as proof. Extremely easy to install and to use, the “Eagle” sticks to your car window and can be repositioned quickly. Use the 2 Inch rotatable flip out screen to check if your camera is pointing in the right direction and after pressing the record button, you won’t have to worry about the camera anymore. Powered by your car’s cigarette lighter socket, and featuring cycled recording the “Eagle” can record endless hours of video without ever running out of power or memory. As an extra, you can lock video files from being recorded over to safeguard your files. This camera will not work with a Class 10 32GB MicroSD - it will detect the memory but recording will automatically stop after a few seconds. I replaced it with a Class 4 16GB and the camera works perfectly fine. Make sure the suction mount remains firmly against your windshield - if the unit falls with the display open , it might damage the display. I would tether it to my rear view mirror with a lanyard, just in case. Overall a very good product for the price.